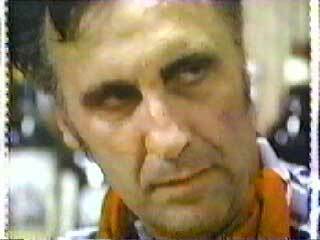 Truly one of the greats, actor Timothy Carey was unparalleled in his career in his portrayals of creepy, scary, dirty, slimy swarthy bastards. No one did it better -- no one ever will. Sadly, Timothy Carey Carey died on May 11, 1994 as a result of his fourth stroke in less than six years, right before THE INSECT TRAINER went on stage. IMO, he was both "The World’s Greatest Sinner," and "The World’s Greatest Actor." Certainly the former for his brilliant film of the same name, and certainly the latter in the categories of "Cult Actor" and "Villain!" First about his being typecast as a "villain." If you’re not familiar with the man’s work, just take a look at that mug of his. He was born to play the no good, the swarthy nasty who always gets the girl (although frequently, she doesn’t want him and the downright evil -- and he loved every minute of it. And it wouldn’t be too surprising if you were not familiar with his work. That’s part of what makes him a "Cult Actor" – you’ve got to work to find him. But the funny part is, you’ve probably seen him before because he was one of Stanley Kubrick’s favorite actors (but even Stanley probably couldn’t find roles for him in 2001 or Barry Lyndon. This stuff is all copy write 2005© Punchinello Beat/Scott Morrow. Please credit where credit is due?